Michael Sohn, the former campaign manager for Christopher Shays, says he was abusing drugs when embezzled from the 2008 re-election campaign coffers. 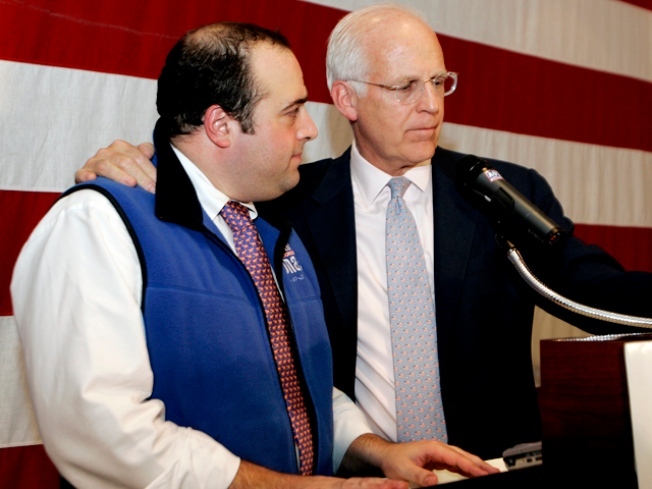 The former campaign manager for Chris Shays said he was abusing drugs when he embezzled funds from the former Congressman's campaign. The Connecticut Post reports that Michael Sohn, of Fairfield, disclosed he was seriously abusing cocaine and marijuana while committing the crimes, according to documents. Sohn is scheduled to be sentenced for embezzling more than $252,000 in campaign funds from Shays' unsuccessful 2008 re-election campaign and evading taxes. Sohn filed the documents in federal court in advance of the sentencing. In those documents, he makes an argument that he deserves fewer than 30 to 37 months in a low-security prison, the Post reports. In March, Sohn pleaded guilty. Court documents show Sohn used the money to pay for a lavish lifestyle, including casino junkets, basketball tickets and fancy limo rides. As part of Sohn's prison term, Sohn's will participate in a 500-hour intensive drug program run by the Bureau of Prisons, the Post reports. Sentencing is scheduled for Sept. 21.